Sure, the Munich Oktoberfest is the best and biggest of all the beer festivals in Germany, but it’s by no means the only one. And given that it’s only on for two of the years 52 weeks, not everyone can make it to Munich at the right time every year. 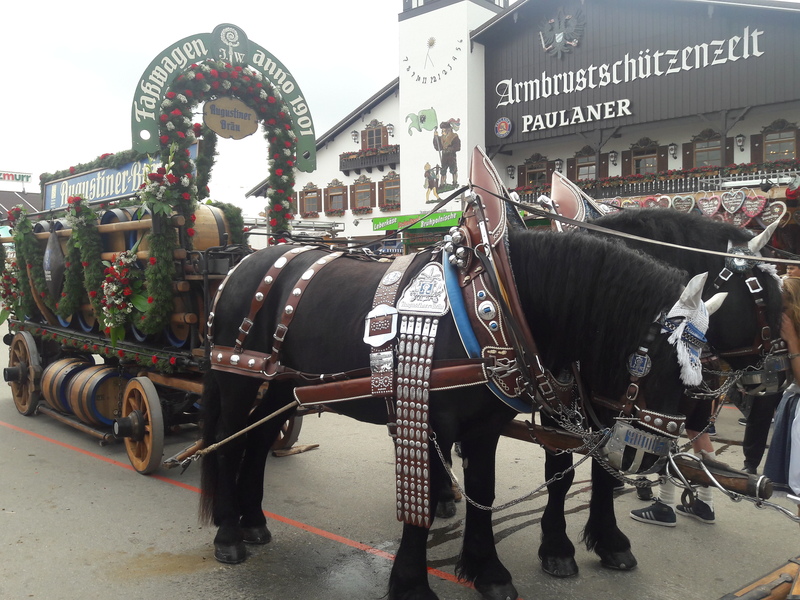 So if you’re looking for an alternative to match the dates of your trip, or if you’re not visiting Munich, read on to find out about other (almos- as-good) beer festivals in Germany. 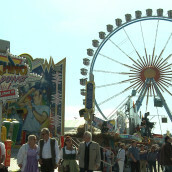 The Aschaffenburger Volksfest is held for two weeks in late June and features all of the same fairground and beer-tent fun as the Oktoberfest, albeit in a much smaller scale (500,000 visitors rather than 6 million!). Conveniently, the small city of Aschaffenburg is located right at the top of Bavaria within easy excursion distance of Frankfurt and many other parts of central Germany. Nevertheless, lederhosen and dirndls are still a big part of proceedings: we are very much still in Bavarian here! Think you can drive one of these? Watch the real professionals at Grenzlandfest Zwiesel. The Grenzlandfest (literally “borderlandfest”) is held in the last two weeks of July near the border between Germany and the Czech Republic; Austria is only few miles away, too. 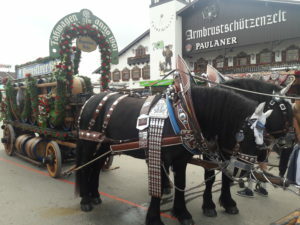 The picturesque region of hills and forests is where traditions die hard, and this beer festival features a fun example: the “beer waggon driving skills contest” held every second year (in even years). It’s also got beer, lederhosen, and lots of brass band music. 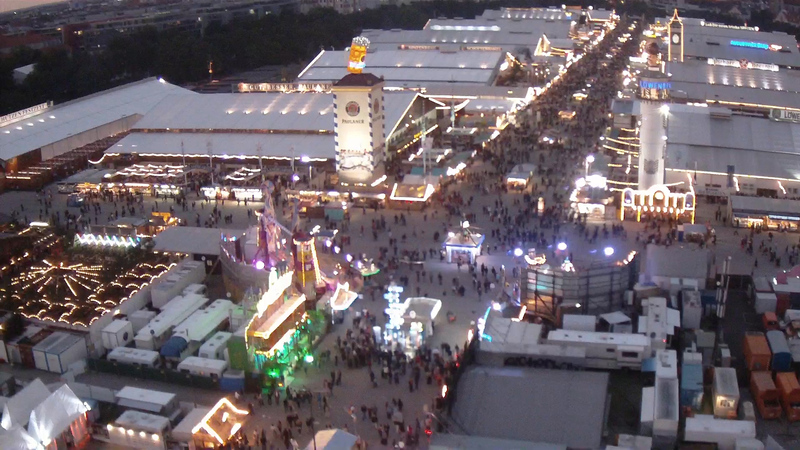 Wiesn, Wasen… They all look much the same from above! 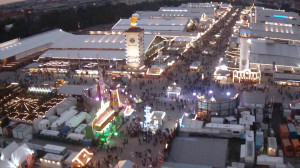 Overlapping with the Oktoberfest for one week, the Canstatter Wasen, often called the Stuttgart Beer Festival, is the second largest beer festival in the whole of Germany after the Wiesn (not to be confused: Wasen – A – and Wiesen – IE!). With eight beer tents and big fairground rides, this festival is close to the Oktoberfest in spirit, but definitely not Bavarian. People here take pride in being Swabians (even if they do wear Bavarian lederhosen and dirndls come festival time…) and have their own style of beer and own types of food.